Maybe getting an unlocked Nexus 6 from my son-in-law. 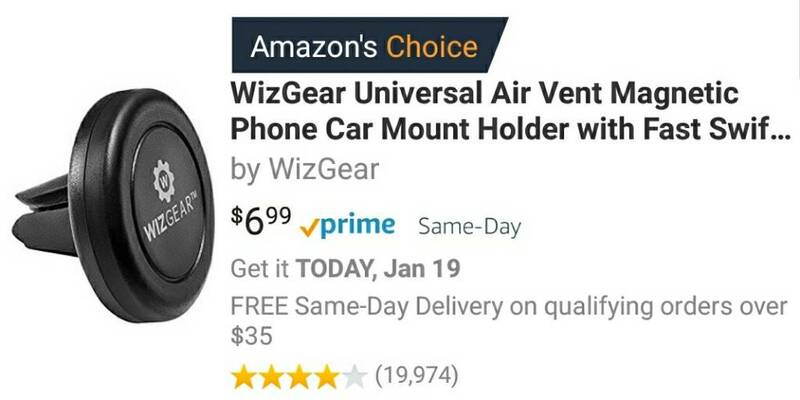 It's a very wide phone, and i was wondering if they make a clip for the phone so i can attach it to one of the a/c louvers in my car. Thanks for any feedback. You might find something here that would work, or some ideas. Last edited by JimTDI; 01-19-2018 at 05:41 AM. I've used a couple, use the CD mount now in my truck, mostly because I don't use CD's any more and it's more solid than the mag/vent clip, and I do use the AC. The Mag/Vent works best in wife's Passat. Last edited by EfinTDI; 01-19-2018 at 06:17 AM. Thanks for the info guys. The phone is a beast, but it is a Nexus, so if he decides to give it i'll take it. @JimTDI I see that you list the N6 as one of your phones. I already have the N6P, but i'd like to know if there are any major differences between the two(other than size). Thanks. Size is the big difference, and the 6P has issues with shutting down when battery still shows quite a bit left. I understand a battery replacement on the 6P solves the problem for some people. Edit: Oh, and the dual speakers on the N6 are awesome compared to the N6P - both are nice phones though. Last edited by JimTDI; 01-20-2018 at 05:09 AM. Doing some research now on roms. I didn't know that the stock N6 didn't have a blinking notification light, but i found a rom that will change that with root(MeanPop 51). Any other tweaks would be a great help. Thanks. Pure Nexus is hands down the best ROM I have found for the Nexus 6, but support/development was "officially" ended this past fall. I tried several others, and AICP (Oreo) is the one I liked the best, and it supports the notification and charging LED etc... SiX Rom was pretty good too, but the author is tempera"mental", and threatens to quit, then goes on, etc. All the Oreo Roms have the option for a pulsing led built in. I'm running Nitrogen OS, and it's great.